Today (11/3/12) is Sandwich Day! As I'm sure most of you know, the sandwich is rumored to have been created by John Montagu, the 4th Earl of Sandwich. Montagu was also a politician and held many different posts in political offices. There are two different versions of how the sandwich came to be. The first is that during poker games, the Earl did not want to leave the table and would ask servants to bring him slices of meat between two slices of bread. Soon others began asking for the same thing and the creation grew in popularity. The other theory is that he ordered this and ate it at his desk while working. However, many historians claim that the sandwich was eaten long before it was named. They claim that when historical text states "bread and meat" or "bread and cheese", that they are referring to a sandwich. Many other cultures were using pita bread or tortillas and filling it to create a sandwich type item. However, the general consensus is that the Earl of Sandwich is responsible for giving the combo popularity among the gentry and lending it his name. I've got to say, that no matter what it's called, the bread/meat/cheese combo is a bit hit. The sandwich is a staple at our house, especially since we eat sandwiches daily for lunch. The boys usually gravitate towards the kids classic of PB&J (peanut butter and jelly), whereas I like a sandwich with lettuce/tomato/mayo/cheese/meat. What is your favorite sandwich? 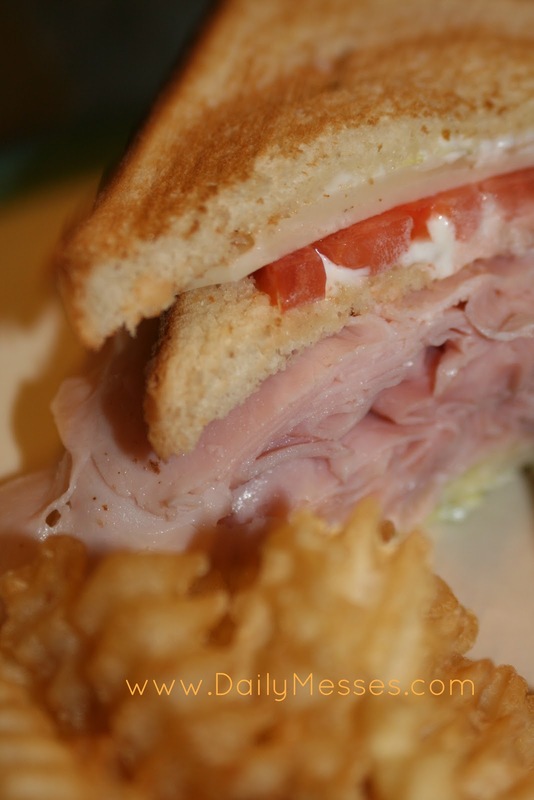 What is your favorite type of sandwich (Double Decker, sub, panini)? Ketchup (name began as ke-tsiap, changed to catchup, and then catsup and ketchup) was first invented in China in the 17th Century! Tomatoes were added to the sauce in the 1700's. Heinz began selling ketchup in 1876. Mustard was originally used for medicinal purposes. The Romans later ground mustard and mixed it with wine or grape juice to form a paste. Mustard powder/flour was created in 1720. There is a National Mustard Day, which is celebrated the first Saturday of August. Mayonnaise was first created in 1756. In 1905 the first ready made mayonnaise was sold in a deli. The meat slicer was invented in 1898.